At the 5th International Contemporary Music Festival of H.M. Górecki in Kraków the lauded LutosAir Quintet together with Piotr Sleczek premiered his work "A Song of the New Order". The concert took place at the Manggha Museum of Japanese Art and Technology on October 24th, 2015. A Song of the New Order is an experimental piece for woodwind quintet and tape. It relates to the sonoristic works of the 20th century. The composition explores the illusory nature of the world, which manifests through constant change. The composer points to the changes that have recently happened in the world, and the consequences that will follow as a result. The purpose of the composition is to elicit our cultural and social polarization which reflects the tendencies around the world today. The LutosAir Quintet was born from the association of five musicians brought together by their common love for music and vision of the arts. 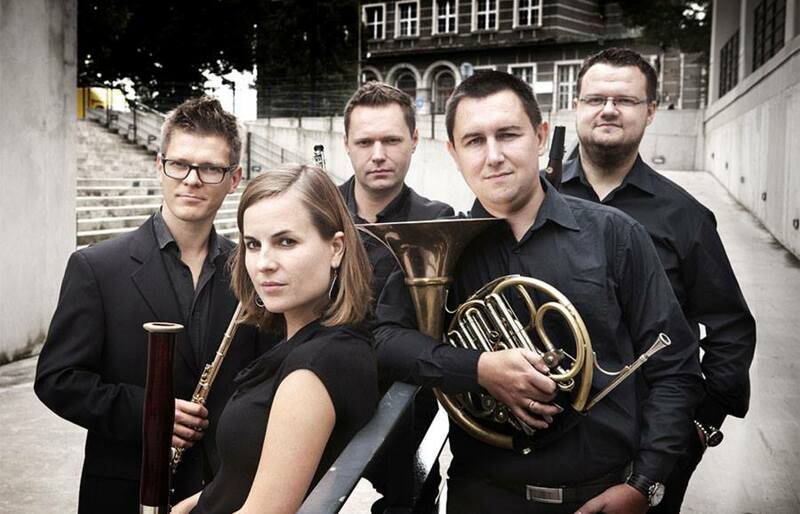 The ensemble consists of the soloists of the Wrocław Philharmonic Orchestra: Jan Krzeszowiec, Wojciech Merena, Maciej Dobosz, Alicja Kieruzalska and Mateusz Feliński. They have been playing together in various chamber ensembles and orchestras for years. At the invitation of the Polish Institute in Leipzig, LutosAir Quintet played a concert for over a thousand listeners. In 2014 years had the honor to represent Poland in the international project MusMA (The Music Masters on Air) and during the festival Vratislavia Cantans he played polish premiers of 4 woodwind quintets from different countries. LAQ also appeared on the international festival Szalone Dni Muzyki/La Journee Follee in Warsaw, during its American edition.LutosAir Quintet is one of the ensembles of the National Forum of Music. Polish Radio Choir Performs "Unica Mea est Salomea"